For individuals wishing to become professionally qualified in eyelash and eyebrow treatments. Be qualified to apply eyelash and eyebrow tinting and shaping. Know how to correctly patch test products. Be able to train in advanced treatments like Eyelash Extensions. 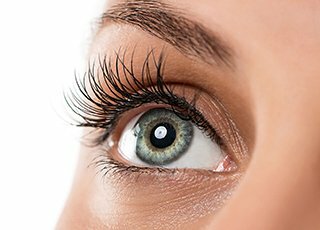 Our Eyelash and Eyebrow Treatments course is designed to compliment a range of courses and to enable therapists to offer these popular skills to their clients. Eyebrow shaping and eyebrow/ eyelash tinting treatments have always been a popular service in the salon in that they greatly help to enhance a client’s appearance and confidence. Clients with naturally fair eye lashes and eye brows benefit from lash and brow tinting and this is often an option over and above using make up. The colour gained from tinting the lashes and brows helps to highlight and define the eyes, giving the client confidence in their appearance, and the effects can last up to 6 weeks. The colour is semi-permanent and unlike make up does not smudge or streak. 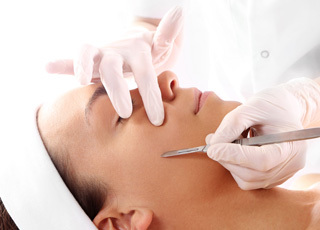 This will be done with the traditional method of using tweezers, although some clients tend to prefer waxing and threading as their main method of excess hair removal. Shaping the brows emphasises the eyes and helps to remove the excess eye brow hair, the skin them becomes smoother and makes make up easier to apply. This also makes blending eye shadow much easier and most clients find it more comfortable than doing it themselves at home. Entrance requirements: None. Candidates need to be at least 16 years old. Qualification / Certification: Upon successful completion of the course you will be awarded a ‘Eyelash & Eyebrow Diploma’ by Helen McGuinness Health & Beauty Training International. You also have the option of undertaking a VTCT / NVQ qualification (additional attendance and assessment fees are payable). Insurance and Membership: Our Diploma is accredited by the Beauty Guild, from whom you may gain professional membership and insurance to practice professionally. If taking a VTCT / NVQ qualification you may also be able to join the FHT, BABTAC and other Accreditation Bodies. CPD Points: Our Eyelash & Eyebrow Diploma accredited by the Beauty Guild, is worth 13 CPD (Continuing Professional Development )Points. Eyelash & Eyebrow Course Questions ? 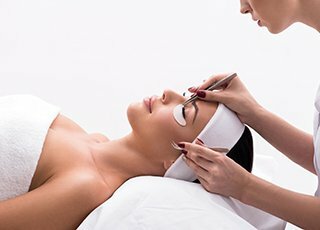 What are the next steps that I could take to enhance my Beauty Therapy Skills ? Once you have achieved your Eyelash & Eyebrow diploma, you can then add to these skills with courses such as Eyelash Lift, Semi-permanent Mascara, Eyelash Extension and Russian Volume Lashes.